This month two DigiCult Short Films will compete for the Scottish Short Film Award at Glasgow Short Film Festival. Zachariah Copping’s Foxy and Marina, will play at GSFF on Friday 8th of February. Foxy and Marina is a lyrical romance about a young boy , a drug addict , who meets Marina on the day he tries to go home to Skye. Tom Chick’s Death in a Nut will also feature at GSFF on Saturday 9th of February – “When death comes to take Jack’s mother away, Jack beats him ’til he is small enough to put in a nut and thrown out to sea”. This beautiful production is an atmospheric retelling of an old traveller tale from Scotland. 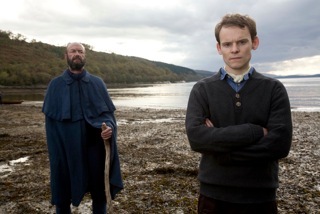 DigiCult congratulates all the Scottish filmmakers presenting at GSFF.